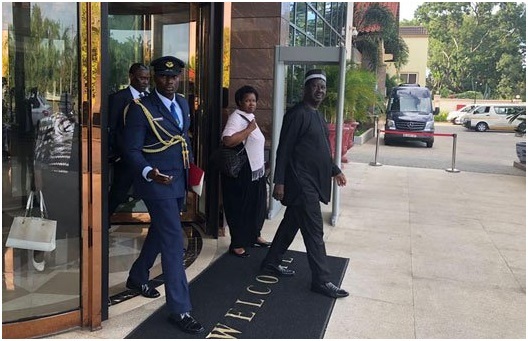 Friday, September 14, 2018 - NASA leader, Raila Odinga, was accorded a Head of State treatment during his trip to Ghana for the burial of former UN Secretary General, Kofi Annan. 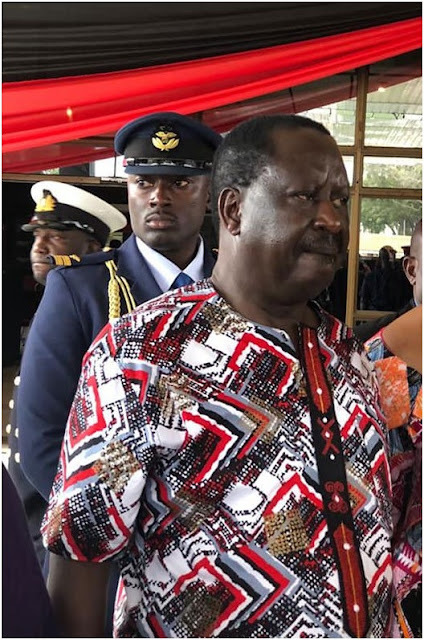 A uniformed officer, whose uniform resembles that of Ghanaian Aide De Camps given to visiting Heads of States, was seen standing behind the former Prime Minister throughout the ceremony. Raila represented Uhuru in Ghana and maybe that’s why they deemed it fit to give him the same treatment as they would have accorded Uhuru himself. Baba, as he is fondly referred to, seems to enjoying the fruits of the famous ‘Hand-Shake’ or is it ‘hand-Cheque) with Uhuru.